The Sunday Post is a weekly meme by The Caffeinated Book Reviewer in which bloggers are able to share news and happenings in their lives from the past week on their blog. “For centuries, fame and fortune were to be found in the west – in the New World of the Americas. Today, it is the east which calls out to those in search of riches and adventure. Sweeping right across Central Asia and deep into China and India, a region that once took centre stage is again rising to dominate global politics, commerce and culture. I will be reading this novel on vacation, so stay tuned for a review that will possibly be coming up soon. It seems like a great book for history buffs, judging off of the summary., but also for those who are interested in learning about history. I fall in the latter category! Moreover, I have an interview coming up next week for a job at my university, so I have also been prepping for that this week. Final thing, just as a little update, I’ve started a YouTube Channel a few weeks ago and I would love for you to check it out. I’ll be uploading every Monday & Friday, so be sure to subscribe if you would like to. The following are three of my favourite videos that I’ve uploaded so far, and it’d be great if you could check it out when you have time. Karen and Tom Krupp are happy—they’ve got a lovely home in upstate New York, they’re practically newlyweds, and they have no kids to interrupt their comfortable life together. But one day, Tom returns home to find Karen has vanished—her car’s gone and it seems she left in a rush. She even left her purse—complete with phone and ID—behind. There’s a knock on the door—the police are there to take Tom to the hospital where his wife has been admitted. She had a car accident, and lost control as she sped through the worst part of town. The accident has left Karen with a concussion and a few scrapes. Still, she’s mostly okay—except that she can’t remember what she was doing or where she was when she crashed. The cops think her memory loss is highly convenient, and they suspect she was up to no good. Karen returns home with Tom, determined to heal and move on with her life. Then she realizes something’s been moved. Something’s not quite right. Someone’s been in her house. And the police won’t stop asking questions. 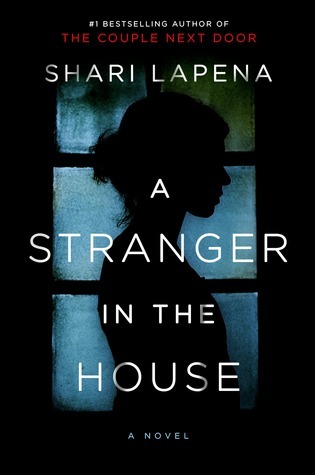 Because in this house, everyone’s a stranger. Everyone has something they’d rather keep hidden. Something they might even kill to keep quiet. Home intrusion-related things always terrify me. There’s something so hair-raising about the idea of someone being in your house without you knowing. They’re right under your nose, but you’d never know they’re there. That’s the scary part. It’s kind of like a ghost. You don’t know it’s there, but it is. That spooks me out so much. So that’s why I picked up this book. I was looking for a nail-biter, something where I’m on the edge of my seat, ripping through the pages to find out what comes next. Honestly, I was disappointed in that respect. That part of the book, that I thought would be touched on throughout because of the title, was like trying to see stars in the city at night. It was barely there. I feel like I’m justified in wanting something more from the home-intrusion aspect of the book. It was lacking. I haven’t read any other books from Shari Lapena as of yet, but I going to assume her writing style is similar through all her books. In that case, all her books could be read by a 10 year-old. I don’t mean the content itself, but the way in which she writes is so simple. When I read, I want a challenge. Something to test my vocabulary. I don’t want to read, what I think, is next to a children’s novel. Maybe her plan is to focus on the plot and not the wording. I think that writing style is important and it’s definitely something I look for. Onto the story itself. I enjoyed it. There are many twists and turns that I didn’t see coming. That’s about it though. It wasn’t the most amazing thing I’ve ever read, that’s for certain. One thing I loved about this book is the tiny amount of characters. Usually, the amount of trouble I have remembering characters and their names is astounding. It was so easy to remember everyone. More books need to be like that. You really don’t need hundreds of characters to make a good book. Overall, this book was very average. I’m not obsessed and I don’t completely hate it. It’s alright. This isn’t a recommendation of mine, though. Before I get started, let me make it clear that I’m no movie buff. But I have watched my fair share of movies. I’m not going to give away the movies, in case you want to watch it. I’m really into action, suspense, and mystery movies. 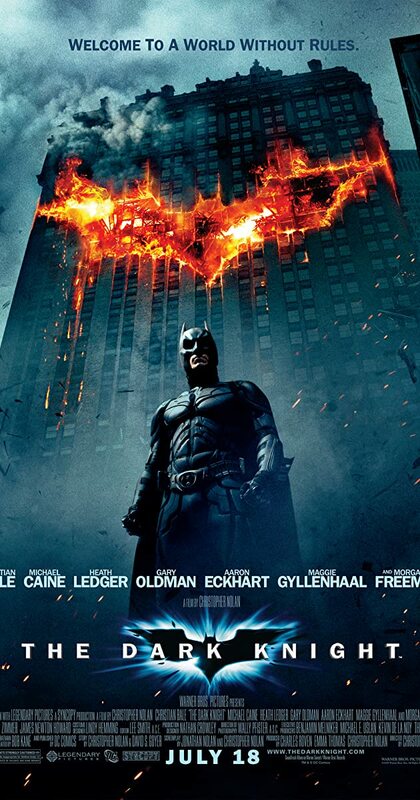 Also, you’ll notice a trend in these movies….because Christopher Nolan is just too good. This movie became a classic the moment it was released. I don’t think anyone can deny that this movie is amazing. I’ve watched it countless times and yet I still find things that I didn’t notice before. You can watch this movie over and over again and not get bored of it. You’ve got to love Heath Ledger’s Joker in this. He’s pretty much what makes this movie good, other than Christopher Nolan’s directing. Ledger’s role is iconic. In 2016, I found out Chris Nolan was making a new movie (finally) and I was very excited. He hadn’t made a new movie in a few years then and I felt deprived. I discovered that the movie would on the the Miracle of Dunkirk. I’ve always been really interested war movies and war in general. The film has minimal dialogue, but it works. The actors tell the story so well through their expressions alone. It’s a chilling recount of how Dunkirk really happened. It’s very different than how I learned it to be. This movie shows how it really was. This movie was absolutely crazy. I was on the edge of my seat the whole time. It’s a true story, based on the 2009 hijacking by Somali pirates of a U.S. cargo ship. Barkhad Abdi’s acting as a Somali pirate, was amazing. The story in general is very interesting, and the film is created in such a suspenseful way. If you’re looking for a film that constantly has you biting your nails, this is for you! I still don’t understand this movie. And that’s why I’ll never get sick of it. I watch it over and over and get a different understanding of it each time. It boggles your mind and makes you think. It’s about stealing secrets through dreams and that’s about all I get from it. It’s quite long, about two and a half hours in length. But trust me, it’s worth every minute of your time. If you are looking for a movie that really makes you think, watch Inception! 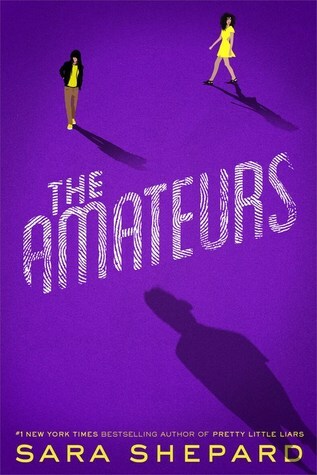 Sara Shepard; the queen of teen fiction. I have a theory that she single-handedly encouraged the world’s population of teens to read again. It’s pretty understandable, I think. I mean, ever since the Internet was born, teenagers claim they’ve never opened a book or smelled the musty pages of a novel. It’s completely true actually. Students at my school never read for pleasure. Ever. I hear it all the time. If they do read, the only books they read are Sara Shepard’s. So yeah. She must have some pretty good books to make brain-dead teenagers actually want to trudge on over to the library rather than surf through Instagram mindlessly. Five years ago, high school senior Helena Kelly disappeared from her backyard in Dexby, Connecticut, never to be heard from again. Her family was left without any answers—without any idea who killed Helena, or why. So when eighteen-year-old Seneca Frazier sees a desperate post on the Case Not Closed message board, she knows it’s time to change that. Helena’s high-profile disappearance is the one that originally got Seneca addicted to true crime. It’s the reason she’s a member of the site in the first place. Determined to get to the bottom of the mystery, she agrees to spend spring break in Connecticut working on the case with Maddy Wright, her best friend from Case Not Closed. However, the moment she steps off the train, things start to go wrong. Maddy’s nothing like she expected, and Helena’s sister, Aerin, doesn’t seem to want any help after all. Plus, Seneca has a secret of her own, one that could derail the investigation if she’s not careful. Alongside Brett, another super-user from the site, they slowly begin to unravel the secrets Helena kept in the weeks before her disappearance. But the killer is watching…and determined to make sure the case stays cold. Mystery in a teen-y book was all I needed. I had been reading some pretty heavy books and needed a little break from that because I’m fragile. Maybe this is just me, but I thought that this would be a lousy mystery book. I mean, a group of teenagers solving a crime together just sounds boring. Well…I can’t even begin to explain how wrong I was. This book was GREAT. The mystery keeps you intrigued throughout the book. It’s constantly being developed, even in the light-hearted situations. The characters were super dynamic. The personalities of everyone in their clique meshed together so well. The mystery was never quite solved until the very end. You think it’s over but then: IT’S NOT! Who doesn’t love that in a book? It’s no wonder there’s a second book coming out in November, titled “Follow Me”. Ominous. And I’m HYPED. I’m NOT going to give this book away because I reaaally think you should read it. Even if you’re an old hag. I loved it! It’s not overly long or short. Thanks for reading! I’ve been trying to find the genres of books that most interest me recently. Growing up, I understandably wasn’t into crime novels and thrillers, rather I was into those typical children and teen novels; Harry Potter (still love with all my heart), Percy Jackson, Hunger Games, Divergent, Inkheart, etc. I was never into the classics or the comics (still not into comics, just not my thing) either. These past few years, I fooled around with different types of books. I started reading crime novels and quickly found myself enjoying them. This book just so happens to be the centre of my scrutiny today. Before I get into the contents itself, can I just say that I bought this perfectly intact second-hand paperback book for a dollar?! A STEAL. As a brief, brief summary for you to get an idea of the book, it starts off when a dog fetches a bone, a human bone, while out with his owner. Detective Harry Bosch must get to the bottom of the case. One thing puts a wrench in his gut; it’s a bone from a child. He uncovers a case almost twenty years old and struggles to find the evidence he needs to put the monster who did it behind bars. 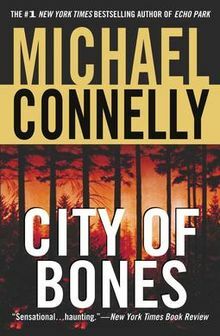 Harry Bosch is part of a series of books Connelly has written. Harry Bosch’s endeavours are a TV show, which I just recently found out can be found on Amazon Prime. I will have to check that out. This would be the first book I’ve read from Connelly and I liked it. It’s a very different writing style in comparison to previous books I’ve read. The writing and storytelling is very succinct, no fluff. I love that. Unnecessary writing is one of my pet peeves, and I’m sure I’m not alone on that. Since the writing was so easy to read and comprehend, I devoured this book faster than most. I’m not entirely familiar with Connelly’s work and style, but I think he puts more care into the plot and characters themselves than the manner in which the plot and characters are presented in. If that makes sense. I think that’s probably why there’s no unnecessary writing. The plot itself is typical of a crime novel. It leads you to believe one person did it but then something else pops up that changes everything. There are many suspects that come up in the story and Bosch tries to figure out who the true suspect is. He’s led to believe one suspect did it, and the case seems to have come to a close, but then he realizes that something isn’t right. Bosch’s detective skills are spot-on, and he covers his mistakes. Overall, this book was an enjoyable read. The story line is intriguing and I never found myself wanting to put the book down. I’m sure to read more books from Bosch. I bought “The Brass Verdict” and I plan on reading that sometime soon also. I thought it would be fitting to write a post about my study essentials while I’m actually studying for my midterm exams! My last one is tomorrow, and I’m spending today studying for it! The following list of my study essentials is in no particular order! My laptop is totally essential for when I study. Although it can be quite a distraction, I use it for Spotify and to review lecture slides from my classes. Sometimes I have to just switch it off and put it to the side when I start to procrastinate. Most important material for studying are my notes! I take notes (as pictured) based off the lectures and the slides that my teacher uploads. I try to keep my notes as organized and straight-forward as possible because doing so makes it so much easier when it comes time to review and get ready for exams. I make short pointers / big concept notes using my 0.38mm Muji pens. I try to keep as many coloured pens on hand for when I need to just add a little colour to my boring notes! Mildliner highlighters are heavenly! I highly recommend buying them, if you haven’t done so yet. I’ve had them for more than a year now, and I use them regularly, and not one of them has lost all its ink yet. They’re absolutely fabulous. I highlight key terms and their definitions in my notes, so I can remember to pay close attention to them (since these terms are almost always on my exams). Sticky notes are imperative for when I forget to write something in my notes. I don’t like whiting-out my writing because it creates such a mess, and ruins the aesthetic of the notes, so I just take a sticky note, write down the point I missed from the lecture slides, and stick it right onto my notes. Doing so keeps things clean, colourful and easy on the eyes. Hope you enjoyed reading this post! What are some things you just can’t live without when studying?